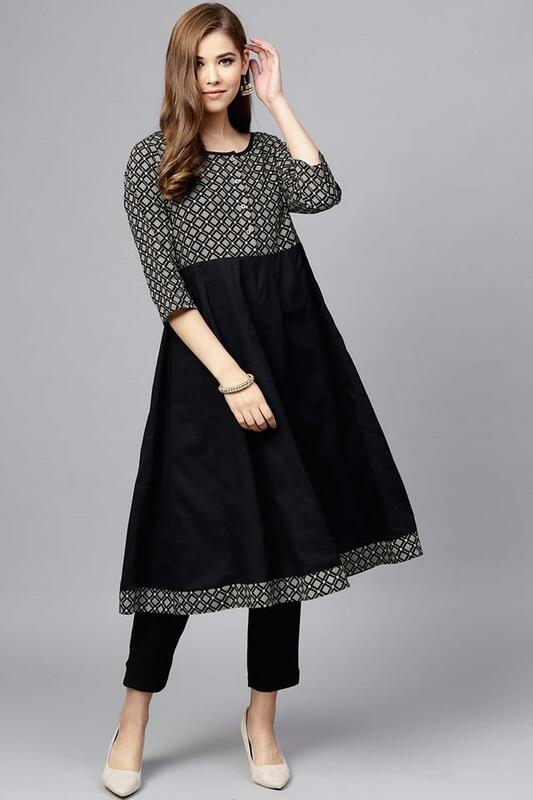 Renew your apparel collection by adding this anarkali presented to you by Juniper. 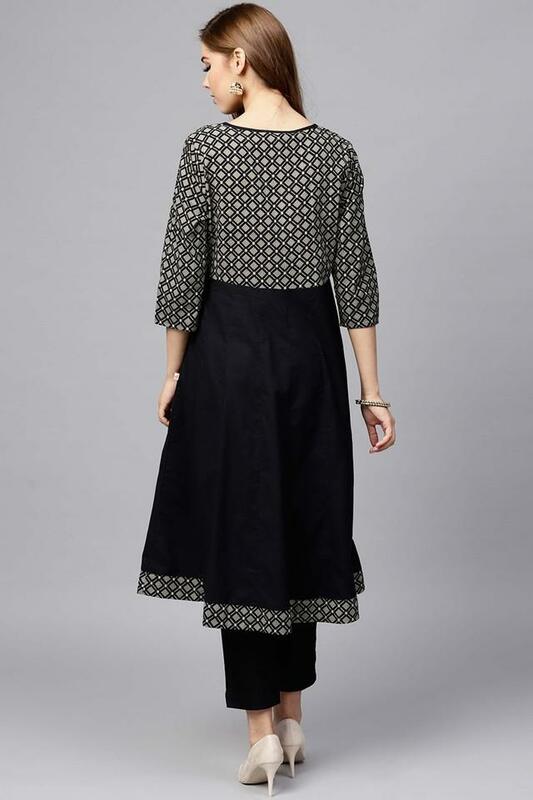 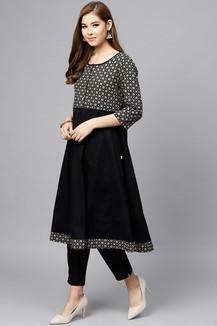 Its kurta comes with an exemplary printed pattern, round neck and three quarter sleeves that lends it an elegant look. Besides, the pair of pants is replete with classy solid pattern, which elevate the overall design of the ensemble. Step up your fashion game this weekend by wearing this kurta and pants set. Create a sophisticated style by teaming this set with a pair of strappy sandals.